We’ve been working on glucose control for more than a decade. Glucose control is vital for the success of any form of dietary restriction for life extension. It is also essential for any dietary approach to preventing prediabetes or type 2 diabetes to succeed. To help our readers learn more about glucose control, we create the Better Glucose for a Better Life free video series. which is now available. 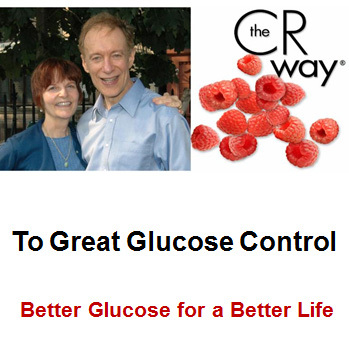 You can see the CR Way to Great Glucose Control Introduction here. Subscribe to the series by clicking the subscribe button. What if my glucose is still too high? The Better Glucose for a Better Life videos are essential viewing for anyone who wants to improve their glucose levels. The CR Way to Great Glucose Control classes will include instructional videos.